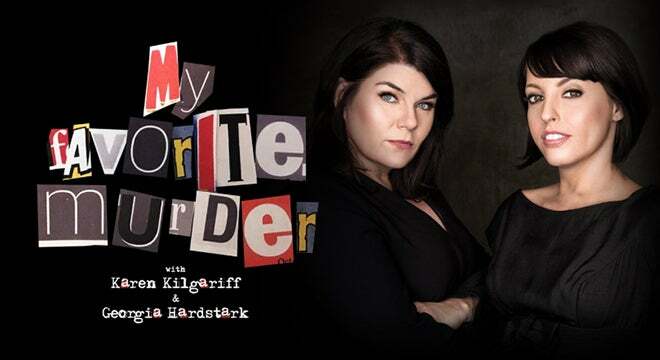 My Favorite Murder is the hit true crime comedy podcast hosted by Karen Kilgariff and Georgia Hardstark and has announced a live show at the Fox Theatre on Friday, February 22 at 8 p.m. Since its inception in early 2016, the show has broken download records and galvanized a devoted “Murderino” fan base. Their live tours are known throughout the world, selling out large theaters across the US, Canada, Australia, and Europe. A top 10 regular on iTunes’ comedy podcast chart, My Favorite Murder has been featured in Entertainment Weekly, The Atlantic, Nylon and Rolling Stone magazine. Aside from being avid true crime enthusiasts, Kilgariff is a stand-up comedian and television writer and Hardstark is a writer and host for the Cooking Channel.